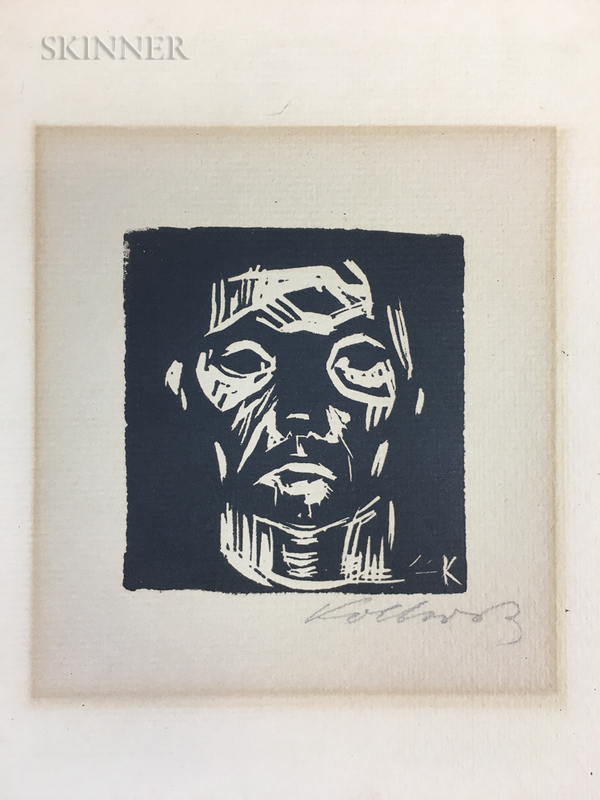 Kleiner Männerkopf ohne Hände, 1922 (Klipstein, 163VIc). 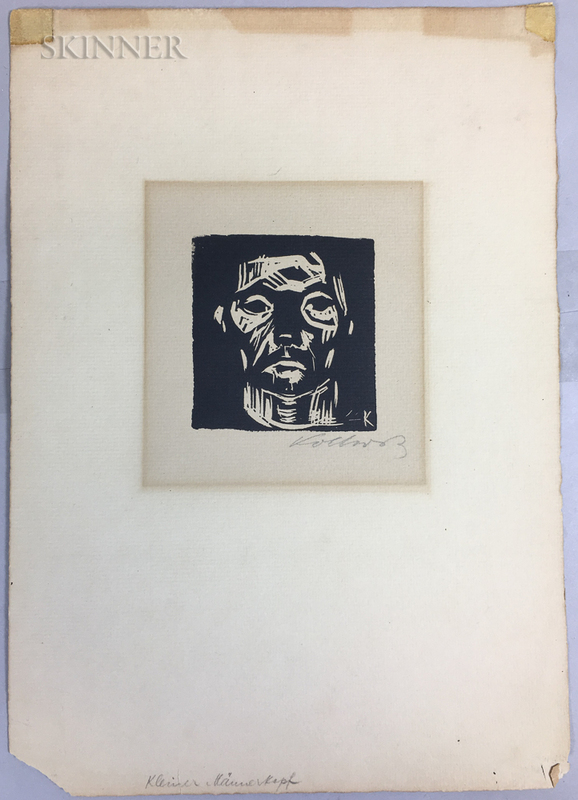 Signed "Kollwitz" in pencil l.r., initialed within the block. Woodcut on laid paper, image size 2 7/8 x 2 5/8 in. 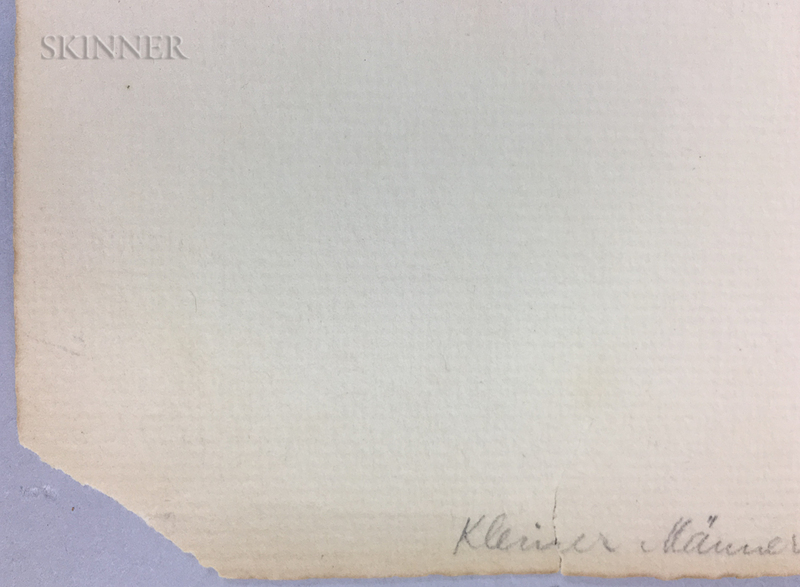 (7.2 x 6.5 cm), unmatted, unframed. 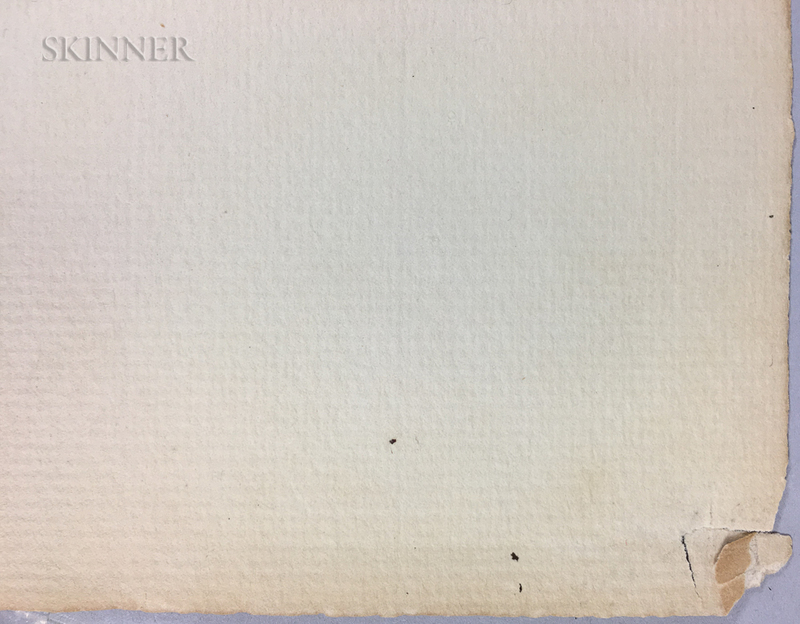 Condition: Full sheet with deckled edges, toning (more prevalent to verso), staining and old hinges/residue along upper edge, mat burn, losses to both lower corners, 1 inch tear to lower edge. 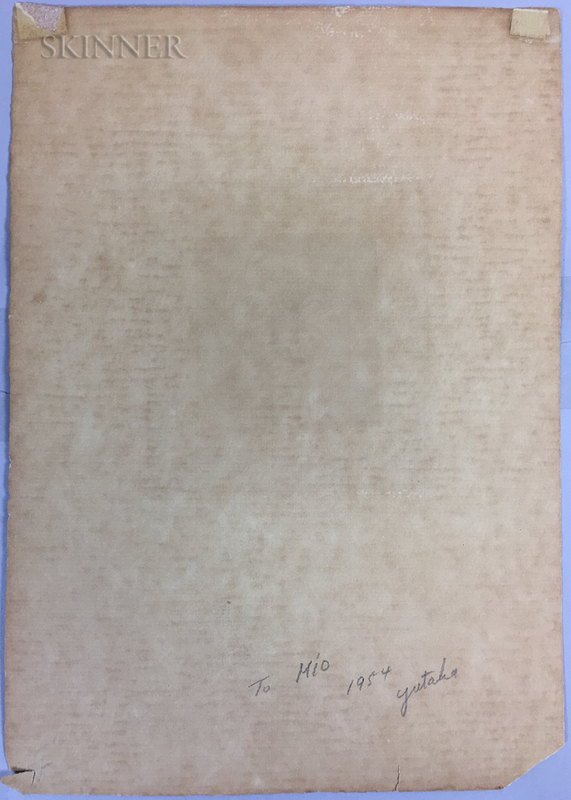 The sheet measures 11 1/16 x 7 3/4 inches.